March marks the beginning of spring and is also the host month for dozens of spectacular festivals and events across Texas. From St. Patrick's Day celebrations to the Houston Livestock Show, there is really something for everyone in the Lone Star State during the month of March. The first three weeks of March in Houston mean the annual Houston Livestock Show and Rodeo. This one-of-a-kind event features the second largest fair in North America, daily professional rodeo competitions, and some of the biggest names in music performing daily during the three-week stretch. Held each year during the first weekend of March, Fulton's Oysterfest is a fun-filled event featuring dances, a carnival, games, food, and, of course, oyster-eating contests. An annual event for over three decades, Borderfest is the oldest cultural art and music festival in the Rio Grande Valley. Borderfest features food, music, and other entertainment showcasing the border region's bi-cultural heritage. Claiming the title of "Largest Celtic Event in the Southwest," the North Texas Irish Festival is a three-day celebration featuring music, folk dancers, storytelling, and educational programs. The event is held in Dallas' historic Fair Park. 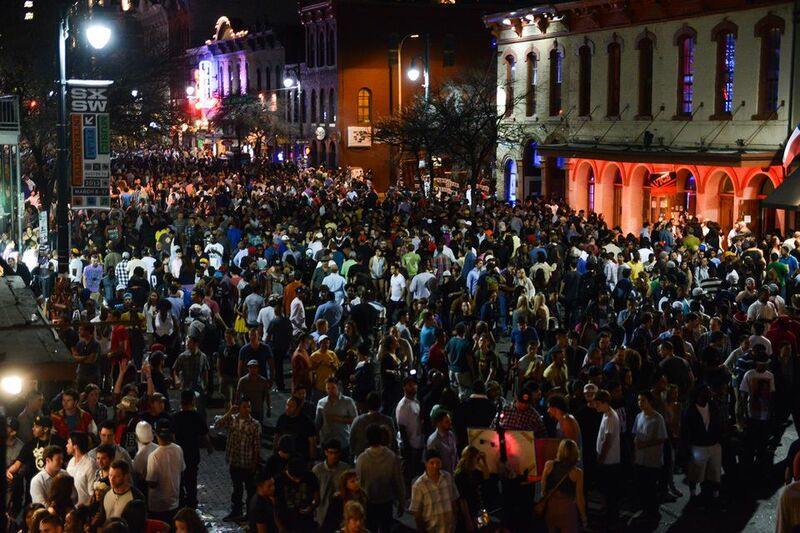 Held in Austin each March, South By Southwest (SXSW) is one of the top music festivals in the country. Event performers cover over 50 stages in downtown Austin, with some of the music industry's biggest established names as well as plenty of up-and-coming musical acts performing throughout the event. Held during the second weekend of March annually since 1958, Sweetwater's World's Largest Rattlesnake Roundup draws over 30,000 visitors from across the U.S. and beyond. The Nederland Heritage Festival is one of the largest free festivals in the state. An annual event since 1973, the Nederland Heritage Festival features a carnival, pageants, golf and softball tournaments, a fun run, chili cook-off, craft show, live music, and more. What else would you expect to celebrate in a town named Shamrock? The annual Shamrock St. Patrick's Day Festival has grown into a two-day event featuring parades, music, motorcycle rally, beauty pageant, craft show, carnival, and more. From late-March through early-April, the city of Tyler, Texas is home to the Azalea and Spring Flower Trail, which includes tours of area homes and flower trails, a civil war re-enactment, square dancing, 10k run, arts & crafts, and much, much more. The East Texas town of Jasper celebrates the blooming of the azaleas with an all-day festival around their historic downtown square. Activities include an arts & crafts show, quilt show, classic car show, live music, kiddie carnival, cake decorating contest, and more. A three-day celebration of visual and performing arts, the Corpus Christi Festival of the Arts has quickly become a favorite annual event for residents and visitors alike.